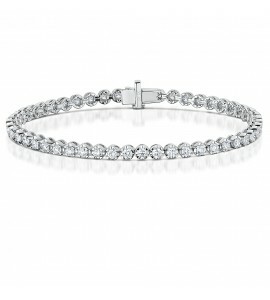 Diamond Tennis Bracelet 1.00cts. This classic 4 claw diamond tennis bracelet features 66 round brilliant diamonds weighing 1.00cts. Hallmarked 750 18ct white gold with discreet clasp fastening. Presented in branded ADC packaging. 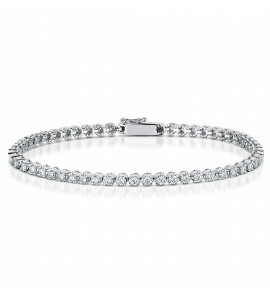 ..
Diamond Tennis Bracelet 2.00cts. This classic 4 claw diamond tennis bracelet features 66 round brilliant diamonds weighing 2.00cts. Hallmarked 750 18ct white gold with discreet clasp fastening. Presented in branded ADC packaging. 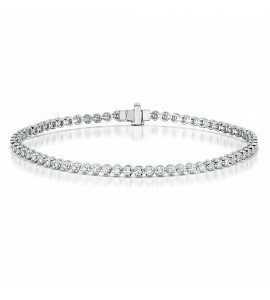 ..
Diamond Tennis Bracelet 3.00cts. 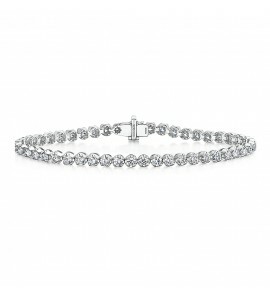 This classic 4 claw diamond tennis bracelet features 48 round brilliant diamonds weighing 3.00cts. Hallmarked 750 18ct white gold with discreet clasp fastening. Presented in branded ADC packaging. 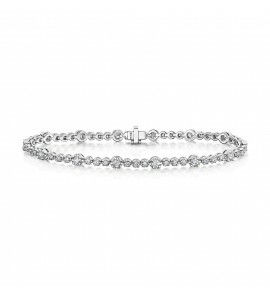 ..
Diamond Tennis Bracelet 5.00cts. This classic 4 claw diamond tennis bracelet features 47 round brilliant diamonds weighing 5.00cts. Hallmarked 750 18ct white gold with discreet clasp fastening. Presented in branded ADC packaging. ..